Detroit (March 21, 2017) – Cobo Center, site of this year’s Sustainable Brands (SB’17) conference, has achieved recertification to the ASTM Venue Standard, the premier global sustainability standard for the meetings and event industry. 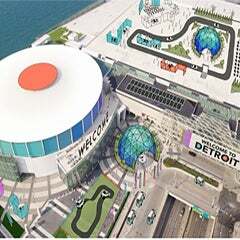 Cobo Center, Detroit’s main convention and exhibition venue and centerpiece of the downtown civic center was recently chosen to be the host site for SB’17 Detroit, billed as the largest global convening of brand leaders and sustainability practitioners. More than 2000 people from across the globe are expected to attend the May 22-25 event. David Fiss, Executive Producer Live Events for Sustainable Brands, said, “Sustainable Brands is excited to partner with suppliers and venues like Cobo who demonstrate a commitment to sustainable practices. Doing so helps our event meet our sustainability goals, educate our attendees, and encourage other suppliers to the meeting and events industry to do the same. A sustainable event is more thoughtful and creates a better participant experience.” Mr. Fiss is also a member of the Convention Industry Council’s Sustainability Leadership Council. 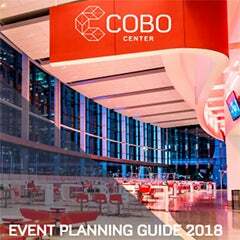 Cobo Center was initially certified in 2015 to the ASTM Standard pertaining to the Evaluation and Selection of Venues for Environmentally Sustainable Meetings, Events, Trade Shows, and Conferences, and was the 9th US facility to do so. The Venues standard is one of the nine standards developed by the meetings, conventions, exhibitions and events industry to provide event planners and suppliers with specifications for producing events in a more sustainable manner. The ASTM certification is the fifth for Cobo Center related to sustainability efforts. 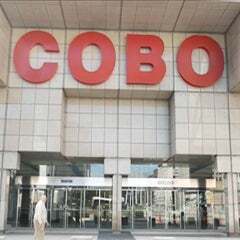 In 2012, Cobo became the largest Green Venues Michigan facility. In 2014, Cobo was designated an EcoWorks Sustainable Communities Champion, and in 2015 the Detroit Free Press named Cobo Center a Detroit Green Leader. In 2016, Keep Michigan Beautiful awarded Cobo Center their highest honor, the KMB President’s Plaque. The ASTM Venues Standard delineates the procedural requirements for venue selection -- the practice of researching, evaluating and choosing the facility for an event. The standard specifies specific performance criteria for staff management, communications, waste management, energy, air quality, water, procurement, and community partners. The standards were created in partnership with ASTM International, an ANSI-accredited standards development organization iCompli Sustainability, a division of BPA Worldwide, a non-profit international auditing organization headquartered in Shelton, Connecticut developed the certification protocols for the ASTM standards and performed the independent third party certification of Cobo Center’s compliance with the Venues standard.